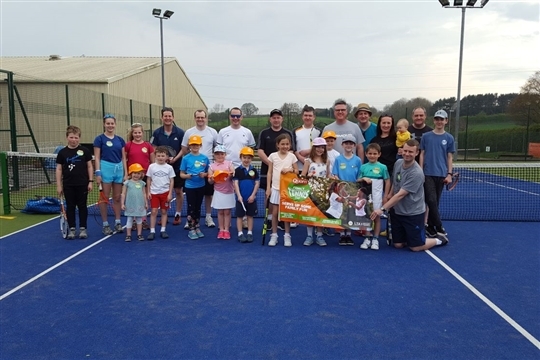 Quorn Family Tennis Cup - A Red Ball Family Fun Doubles Competition. Child 10 & Under partner with an adult family member. Its a quick two hour tournament which takes place every year in February, March or April. Road to WImbledon - his is a competition to inspire and engage 14&U players using the magic of Wimbledon! Its a one day tournament for 14U players at the club which takes place every year in April, May or June. Potteries Tennis League - friendly and competitive singles matches for adults of all standards! Players are organised into groups of a similar level and arrange their own matches at a mutually convenient time over an 8 week ‘round’. Visit the Potteries Tennis League website to join other players in the Stoke on Trent area. Draycott Open - An LTA Grade 4 sanctioned tournament with events for 8U, 9U, 10U, 12U, 14U, 16U, 18U and Adults. It takes place in August every year. Click here to enter online. The tournament is kindly sponsored by A Star Tutoring. Greg Bradshow Memorial Trophy - fun doubles tennis tournament which takes place every September to remember Greg who was a junior player at the club who sadly died in 2013 when he was hit by a car. Annual Club Championships - One day tournaments for Men's Singles, Men's Doubles, Ladies Doubles and Mixed Doubles in September and October. LTA Competitions - we also run or host a number of other LTA Competitions each year at Regional and County Level. Visit the LTA Competition Website for details.